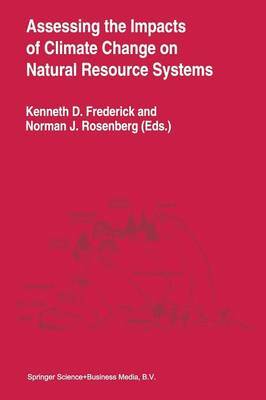 This volume characterizes the current state of natural science and socioeconomic modeling of the impacts of climate change and current climate variability on forests, grasslands, and water. It identifies what can be done currently with impact assessments and suggests how to undertake such assessments. Impediments to linking biophysical and socioeconomic models into integrated assessments for policy purposes are identified, and recommendations for future research activities to improve the state of the art and remove these impediments to model integration are provided. This book is for natural and social scientists with an interest in the impacts of climate change on terrestrial and aquatic ecosystems and their socioeconomic impacts, and policy makers interested in understanding the status of current assessment capabilities and in identifying priority areas for future research.